Our extensive range of I-on-x Exchange Cylinders provide you with a series of units that are available in various sizes and expandable to suit most flow rates. The Adept Cylinder (AC) Series is available in two variations. Our Standard AC series offers a range of vessel sizes to suit numerous applications and are suitable for towns water and Pure Water Applications only. A more specialised AC series is available for industries that require cold, hot and pure water applications for temperatures reaching up to 55 & 80 0C. 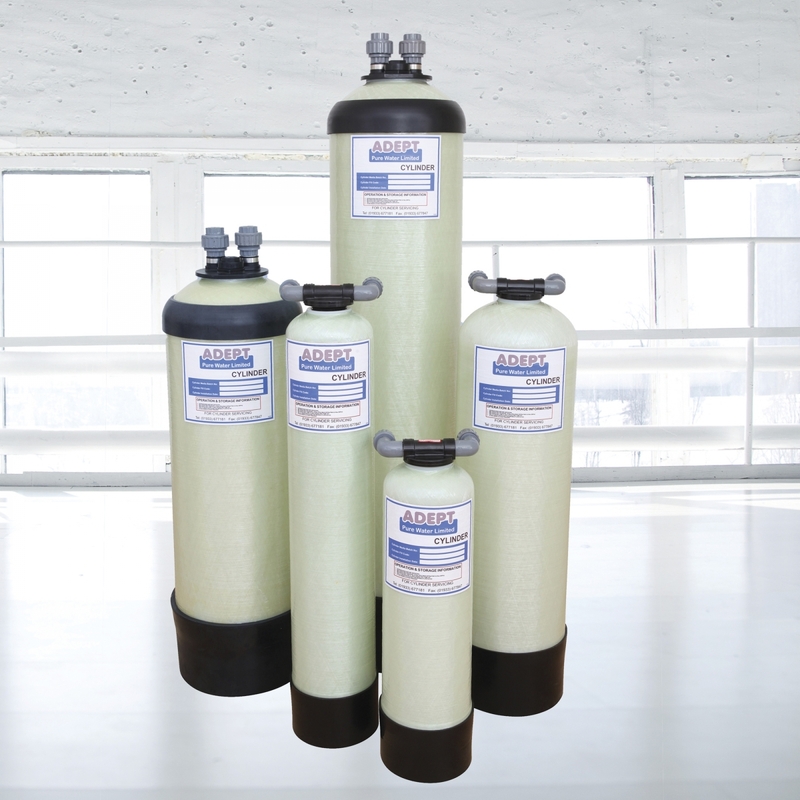 These exchange cylinders include Metal Finish (MFAC), Hot Water (HWAC) and Hot Water High Quality (HWHQAC) series.